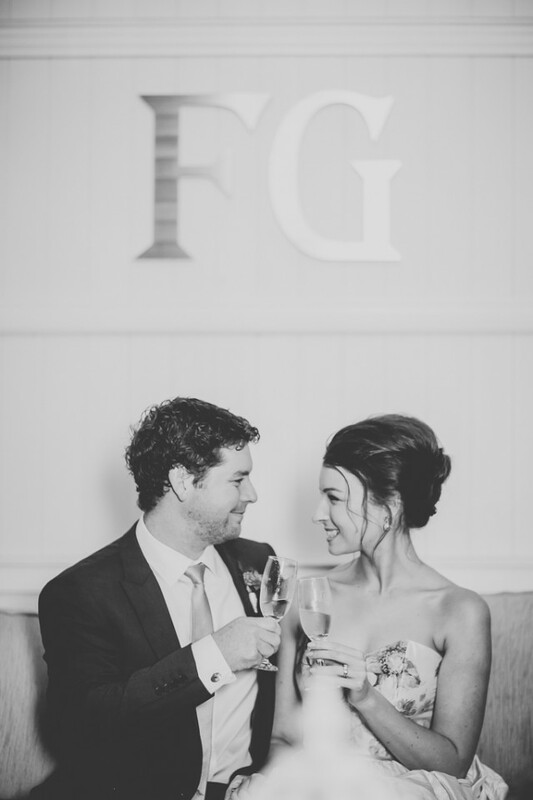 Kirsty and Ryan were married at Flaxton Gardens on the Sunshine Coast. It was one of those foggy, rainy days which make for amazing photographs but can put a damper on the day's events. Their day was captured so beautifully by Bonnie Jenkins and judging by Kirsty's gorgeous smile the rain didn't ruin her special day. 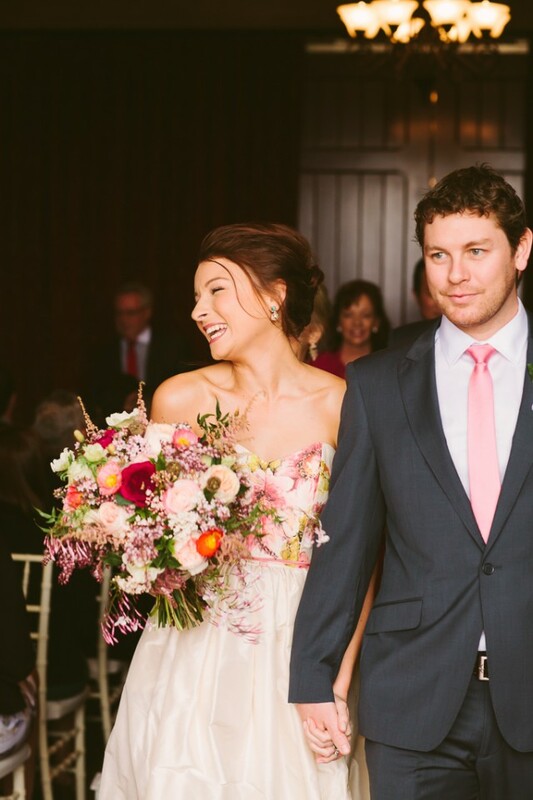 Firstly, Kirsty's dress was amazing...I just love Jennifer Gifford Designs! So feminine, fun and timeless are her designs. If I could get married again I'd choose Jennifer to design my dress. When I got married in 2000 I was a very rare bride to be wearing a dusty pink dress. Now, colour, florals and patterns are everywhere! 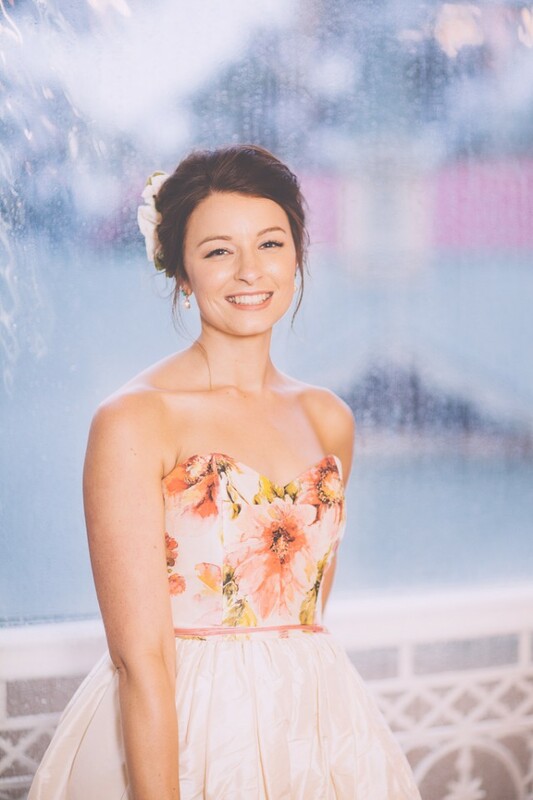 The floral print of Kirsty's dress gave me so much inspiration for makeup - I could go with tones of peach, pinks, creams, reds, burgundy - any of these would look beautiful. I went with blush tones of pink for Kirsty's eyes with individual lashes to give more definition. A pretty rosy lip and cheeks finished the look off.